The newest resort in Lanzarote is Playa Blanca , which translates to the white beach and is situated in the South of the island. The resort caters for families but for this article we will focus on what there is to do for couples. There is a great range of accommodation in Playa Blanca. The sea front is adorned with hotels and complexes from 3 to 5 stars catering for all budgets, for holidaymakers preferring self catering accommodation there are hundreds of self catering villas available, some are individual with their own plots and private swimming pools whilst others are part of a complex. It’s rumoured to be warmer in the South of the island. Lanzarote’s not that big only 60 km from end to end, we would agree that Playa Blanca can be more sheltered from the prevailing trade winds but there’s not a noticeable difference in the daily temperatures recorded here to the rest of this coastline or other resorts. Playa Blanca is the furthest resort from Arrecife Airport, our suggestion would be to book car hire for your holiday as you can normally hire a small hatchback for the duration of a week for the price of a taxi / transfer. There is a circular bus service within the resort, the fare is €1.40 so it’s easy to walk and hop on when you need a lift. 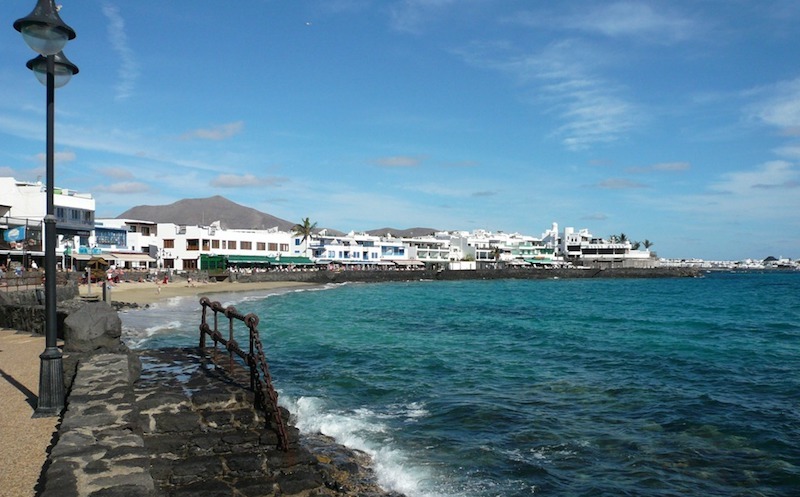 There are also frequent bus connections to the resort of Puerto del Carmen and the capital of Arrecife. This resort does not have a private hospital, if you need medical assistance during your holiday then the closest private hospital is based in Puerto del Carmen where you could use your travel insurance, otherwise it’s a trip to the A and · department in resort or the general hospital in Arrecife for emergency treatment. There are private clinics available within Playa Blanca for advice and treatment if you don’t mind to pay or claim on your insurance. Latest information is that the local Centro Salud, or health centre will help people travelling with an EHIC. The new marina called Marina Rubicón is a popular place to visit, here you can find a plethora of different style restaurants to tempt you offering all different cuisine from Spanish, Canarian, French, Italian and Indian. If you’re just out for a drink then there’s a jazz bar, wine bar as well as chill out lounges around the marina. A market is held twice weekly on Wednesday and Saturday where you can buy local art and crafts amongst the many varied stalls. The marina although a recent addition to the resort has plenty of character, there are cobbled streets and individual buildings surrounding the luxurious yachts and many other crafts moored here. There are two popular beaches within the resort called Playa Flamingo and Playa Dorada as well as the town beach Playa Blanca. On the edge of the resort are the magnificent unspoilt beaches of Papagvayo, this area is part of the natural park and protected coastline accessed by taxi boat, on foot or by car. Papagayo has seven beaches to choose from including a gay & naturist friendly one as well as a campsite with electric and a shower block which is open during the summer months. If you’re looking for water sports head to Playa Dorada where you can find jet skis for hire, there are also sunbeds and umbrellas for rent on this beach. There are plenty of scuba diving schools offering tuition and try dives or equipment hire and guiding if you’re already qualified. Playa Blanca has a promenade that connects the length of the resort right from El Faro, the lighthouse on Southernmost tip of Lanzarote to El Pueblo in Las Coloradas, the shopping centre closest to Papagayo. The centre of the resort is pedestrianised with a good collection of shops, bars and restaurants it has a traditional Spanish feel to this area, you can watch Flamenco and enjoy tapas in this area. You can see the neighbouring island of Fuerteventura from Playa Blanca, there are two ferry companies offering connections across the Bocaina straits from the old harbour to Corralejo if you fancy island hopping for a day to explore further afield. There is also a company offering a day trip from Playa Blanca to the island of Los Lobos in a powerful twin engine rib. A lively night out can be found on either side of the centre, C.C. Papagayo is situated behind the beach of Playa Dorada and C.C. Punta Limones by the old harbour, both have a variety of late night bars offering a choice of music and entertainment. Another centre worthy of a visit is C.C. Las Mulata here you can find a Greek and Argentinian restaurant as well as a fantastic chill out lounge bar with direct sea views. It’s worth mentioning that the resort of Playa Blanca is quite flat which makes it ideal for anyone who is physically challenged the town beach has been graded as having disabled access, there are disabled toilets available in the centre and some thought has been given to ramps on the promenade, pavements and shops. The best place to watch the sunset is from on top of Montaña Roja, the red mountain. It’s a short climb up to the summit with a circular walk around the top where you can look down to the resort, over to Fuerteventura and across to the beautiful region of Timanfaya. If you’re looking for a quieter pace of life in a more upmarket resort with beautiful beaches then Playa Blanca in Lanzarote has it all. Thinking of Playa Blanca for your next visit to Lanzarote? We can help! 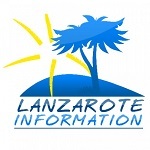 Lanzarote travel enquiry.